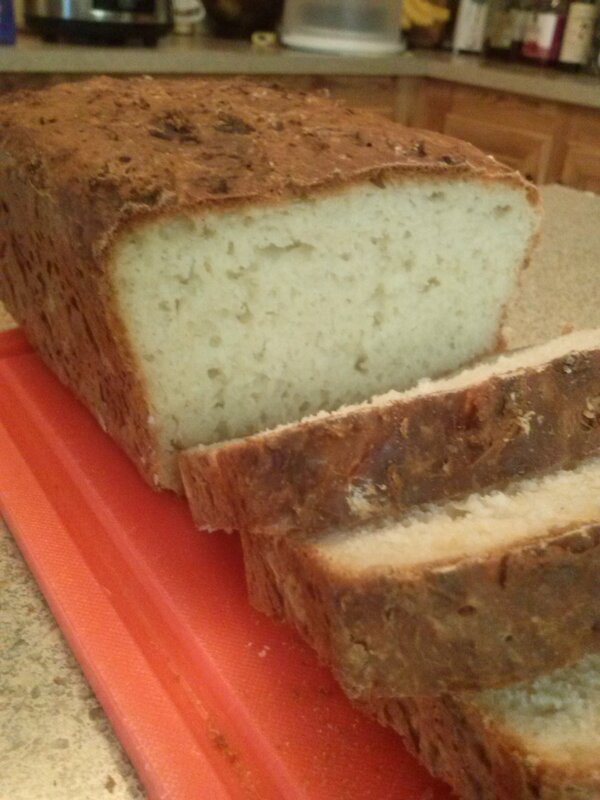 Sour Cream Bread | C'est La Vie! A blog about food, crafts, kids & life in general. 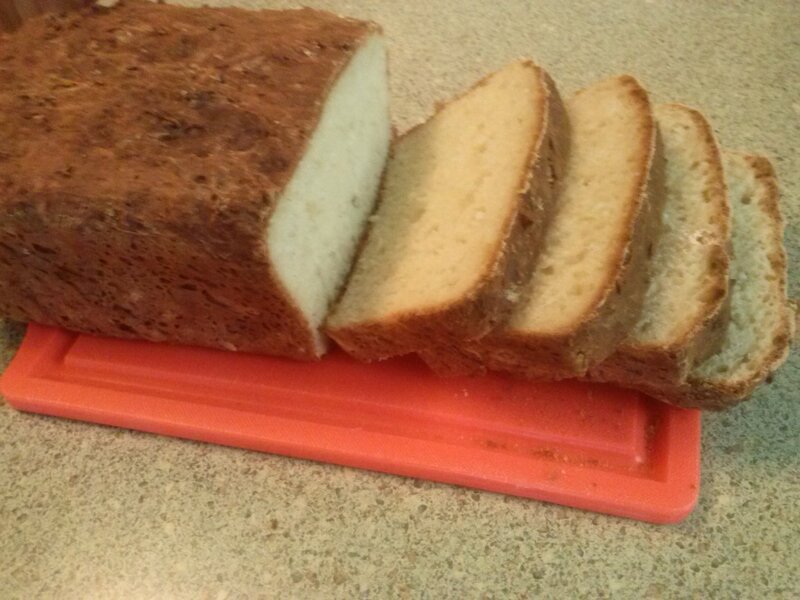 This is a bread that my mother has made for years and it’s amazing in it’s simplicity & versatility. It’s great alone, as a side for soup, gumbo or whatever else you’re cooking and one of my favorites is smeared with homemade apple cinnamon butter. That being said, I have a terrible time remembering this super simple recipe and am constantly calling my mom to get the recipe again. I’m recording it here as much for me as for you. Although, I have to admit, I couldn’t not share this one in good conscience. Dissolve the yeast into the hot water. Mix all ingredients together in a bowl. Pat batter into greased 9x3x5 loaf pan and allow to sit. This is where it gets tricky. My mother swears she lets it rise for 50 minutes and it gets nice & fluffy. I don’t know what the difference is, but I always let mine rise for 2 hours or I have no fluff at all. After the dough rises, bake at 350 degrees for 45 minutes. Voila! You now have a fluffy, versatile loaf of bread and not a lot of fuss to go into it.The best part, you don’t need one of those fancy bread machines to do it and you don’t have to kill your hands with kneading. I’ve also tried it with whole wheat flour that I made into self rising flour and it’s just as good and maybe a little healthier (tee-hee). My hubby likes it better with the regular flour, though, so that’s how I generally keep it.